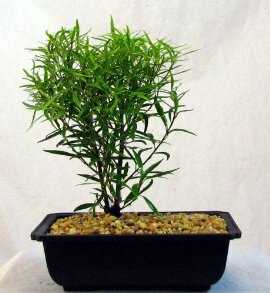 Product Details The Bamboo Leaf Weeping Fig Bonsai Tree is an easy to grow indoor bonsai. It prefers bright indirect or artificial light. Keep evenly moist, not wet or dry. Trim as needed. This bonsai is the perfect gift for the house, apartment, dorm or office.